Some environments make it difficult to live out the command to baptize disciples. Where I live in Northwest Ohio there are many factors that can contribute to that difficulty. Cold winter months make it difficult to baptize outsides (year round) and limited space can make it impossible to find space for a dedicated baptistry. These portable baptistries by Superior Fiberglass are wonderful because they can provide a year-round opportunity to baptize believers in almost any environment! We are ready to help your church when it comes to baptizing disciples. 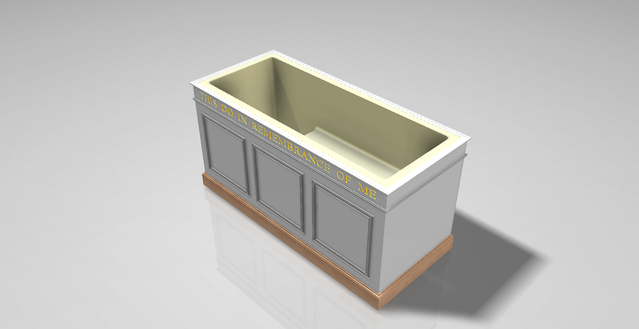 Our ministry can offer major savings on these baptistries and many other church furnishings – it is what we do. Please take a moment to contact us to learn how our ministry can save your church money on these portable baptistries.